University of Maine Cooperative Extension Diagnostic and Research Laboratory: On June 21 we celebrated the grand opening of the new facility that is now operational and occupied. Assistant Extension Professor and STEM Specialist: We completed a successful national search resulting in our welcoming Dr. Vanessa Klein to Extension. Dr. Klein has statewide responsibilities 4-H STEM research and programming, and a joint appointment with the College of Education and Human Development where she will be teaching undergraduate and graduate students. Assistant Extension Professor and Blueberry Specialist: We completed a successful national search resulting in our welcoming Dr. Lily Calderwood as an Extension Wild Blueberry Specialist with a joint appointment as Assistant Professor of Horticulture with the School of Food and Agriculture. This was the first successful faculty succession hire. Maine 4-H Programs served more than 23,400 youth as their first exposure to UMaine, through 4-H camps and learning centers, 4-H community clubs, school, afterschool, and special interest programs. 4-H Camp and Learning Centers: Blueberry Cove, Bryant Pond, and Tanglewood 4-H Camps served over 8,000 youth with programs grounded in STEM, environmental education, and civic engagement. The school component of our programs use the outdoors and experiential education to teach students traditional classroom subjects. Participants report the 4-H Camp and Learning Center experience has helped them develop greater self-confidence, as well as personal and academic success. The 11th Annual 4-H@UMaine Weekend was held May 18-19 on the UMaine campus. This year’s program engaged 50 youth, 15 teen leaders and 10 adult volunteers and 4-H staff from multiple Maine counties. Busloads of youth from farms, rural Maine, small towns, urban areas, and from New American communities and tribes participated. For many this was their first time on the UMaine campus. Youth participated in more than 20 interactive workshops taught by faculty, staff, and graduate students representing the College of Education and Human Development, College of Engineering, College of Liberal Arts and Sciences, College of Natural Sciences, Forestry and Agriculture, Fogler Library, and the New Balance Student Recreation Center. Online Presence: In 2017, UMaine Extension’s website at extension.umaine.edu — a composite of 60+ interconnected websites — received nearly 2 million pageviews from users in 222 countries. UMaine Extension instructional videos have been viewed more than 4 million times. Extension Volunteers are the heart of UMaine Extension, giving their valuable time, effort, and expertise to greatly magnify the value of our work to the people of Maine. All of our volunteers commit time to appropriate training prior to their service. This year over 4,800 Maine people volunteered more than 91,000 hours with us in a myriad of ways from 4-H clubs to fundraising, from growing food to managing County budgets. This remarkable effort equates to 44 full-time staff members. Extension Faculty and Staff provide trustworthy researched-based resources to Maine people on issues that are important to them. We have existed within local communities for over a century and have earned the respect and trust of those we work with. This value is reflected in the reality that every county government in Maine has contributed to its local Extension Office for over 105 consecutive years. UMaine has the largest Extension program in New England. Our workforce develops many positive relationships and has a low turnover rate resulting in long-term partnerships and collaborations. Extension faculty and staff are employed by UMaine, but they work for, and with, the people of Maine. This commitment transforms the University of Maine to the University for Maine in every community across the state. UMaine Extension is the largest public service entity within the University of Maine System. Extension employees and volunteers reach more Maine people annually then there are enrolled students within the UMS. Extension reaches over 5,600 businesses annually with almost all within the food-based economy. The work of Extension is constituent driven, research based and a special emphasis is made to reach new and underserved audiences. Extension reaches many of the most diverse people in Maine. We make special effort to serve the handicapped, racial minorities including Native Americans and new immigrant communities. Public Value: Extension’s Master Gardener Program: Extension faculty and staff trained 139 new MG Volunteers, bringing our statewide active MG Volunteer corps to 1,030. In total, they donated over 39,000 hours to a variety of educational efforts, and involved 7,054 youth in horticulture. Since 2000, the affiliated Maine Harvest for Hunger program has distributed over 2.6 million lbs. of food to citizens grappling with hunger. In 2017, donations of 213,770 lbs. of fresh produce from over 100 Maine farms went to 165 hunger alleviation distribution sites. Over 371 volunteers and 8 corporate partners in 14 counties contributed over 5,700 hours and the value of the produce was over $361,000. Maine Hunger Dialogue (MHD): The fourth annual MHD was held at the University of Maine at Presque Isle this year, attended by 80 students and staff from 14 Maine universities and colleges. Projects funded through MHD included developing food recovery networks, initiating food pantries and resource hubs, donating fresh produce to food insecure students, conducting food drives and hunger awareness initiatives, hosting cooking on a budget and nutrition courses to food insecure adults and children, supporting income refugee and immigrant residents with a healthy cooking workshop series, and helping build capacity between students and local Native American residents through providing a nutrition and food preservation workshop series. “Meal food pack-outs” (packaging healthy nonperishable meals) held at UMPI packed 107,562 meals that were distributed to food insecure students and community members. Telstar Freshmen Academy: 2017 marked the 3rd full year of Telstar Freshman Academy, an experiential program designed to engage students, build communities of learning, resilience and high aspiration for the high school years. This year’s 9th graders are the first class in the district that received standards based diplomas. TFA students test scores are above the national average and improvements in aspiration toward college and careers. Parents of students report dramatic, positive changes in their children’s behavior, including improvements in self-confidence, impulse control, speaking, writing, and problem solving abilities. The community benefits from TFA service learning projects such as installing solar panels at the 4-H Center, designing and installing interpretive signs on a local hiking trail, volunteering at an assisted living home, and designing a school snack program and planting and harvesting crops for those snacks. In early 2017 the program received a six-year $600,000 grant from the Lerner Foundation allowing Extension to continue to strengthen this innovative program. Tech Wizards Students Helping Solve Real Community Problems: Statewide in 2017, Maine’s Tech Wizards program matched 275 students with community mentors in 7 schools. Students participated in ongoing fieldwork, citizen science initiatives, and service learning and were empowered to engage with their communities and contribute their time and skills to address important scientific questions, and to recognize environmental stewardship as an overarching life ethic. Parent Education: The first three years of a child’s life are critical for growth and development. Research demonstrates that the experiences a child has during this time affect the developing brain and lay the foundation for future well-being. With federal, state, and local funding, certified Parenting Education Professionals (PEP) made 2,414 home visits to 271 families. Using the evidenced-based model, Parents as Teachers, PEPs met with families in their homes to share activity ideas to support child development and build parenting skills, as well as links to community resources. In 2017, Extension’s two Maine Families Programs were endorsed by the Parents As Teachers National Center as exemplary Blue Ribbon Affiliates, delivering high-quality services to children and families. Community Engagement Academy: Stakeholder engagement in community planning is a challenge for Maine and NH municipalities. The Community Engagement Academy is an innovative partnership of UMaine Cooperative Extension, Maine Sea Grant, UNH Cooperative Extension, and the UNH Office of Engagement and Academic Outreach. In 2018, the partnership offered a 3-day Community Engagement Academy in 3 NH and Maine communities. Designed for practitioners and community volunteers, the 2018 Academy occurred in communities in different stages of downtown revitalization, and provided best practices for community engagement. Potato Industry Support: The Maine potato industry encompasses over 500 businesses employing over 2,600 people and providing over $112 million in income to Maine farm families. The economic impact from our pest monitoring and educational programs for the 2017 season is estimated to be more than $8.8 million. Blueberry Outreach and Research: Maine’s wild blueberry industry, with 500 growers on 17,000 acres harvested, produced 68 million pounds of wild blueberries. Due to a highly competitive market, prices to growers are down 73% in the page six years. Making the support of UMaine more valuable than ever. Cooperative Extension and Research efforts improved crop productively and efficiency by addressing pollinator population enhancement, weeds, pest insects, and diseases. Our research-based knowledge provided to growers has enabled growers in Maine to remain competitive in the world marketplace and maintain a significant contribution to the State’s economy. Maine Hops Support: Researching Hops as a Maine Crop and Supporting Growers: Maine is home to 60 breweries producing over 200 beers, and is a leader in the production of craft beers, and a study UMaine School of Economics study found Maine breweries added $228 million to the state’s economy in 2016 and employed 2,177 people. Our hops variety plantings and trainings at the Maine Agricultural Experiment Station at Highmoor Farm resulted at least three new commercial hops plantings are being established, and the formation of a hops grower association. Portland-based Allagash Brewing Co., which used over 115,000 pounds of local grains in 2017, has pledged to use 1 million pounds of Maine-grown grains annually by 2021. A Safe Food System Supporting Economic Success: UMaine Extension provides food safety training programs such as food preservation, Cooking for Crowds, Industrial Food Sanitation, Good Agricultural Practices, Hazard Analysis Critical Control Points certification, and Food Safety Modernization Act trainings. Faculty also engage in individual food safety consulting and process authority food product reviews for new and existing companies statewide. These programs directly reached and trained over 10,000 people in Maine in the past year. The food process authority lab reviewed over 500 products, leading to added income and jobs in both Maine and NH. In most cases one-on-one food safety consulting led to increased revenue, retention of jobs, and/or increased hiring. University of Maine Animal Health Lab: The University of Maine Animal Health Lab (UMAHL) provides services to the veterinarians, livestock producers, and animal owners of the state. The lab performs a variety of diagnostic services, including necropsy, microbiology, virology, pathology, and special research support. It offers diagnostic support to clinicians, and assists in finding solutions for agricultural and aquacultural producers using UMaine Extension resources. In 2017 UMAHL tested over 10,000 samples, the great majority of which were from farm animals. It tested over 7,000 egg samples and over 3,000 milk samples, thus allowing farms of all sizes to operate with more assurance of healthy animals and healthy products. 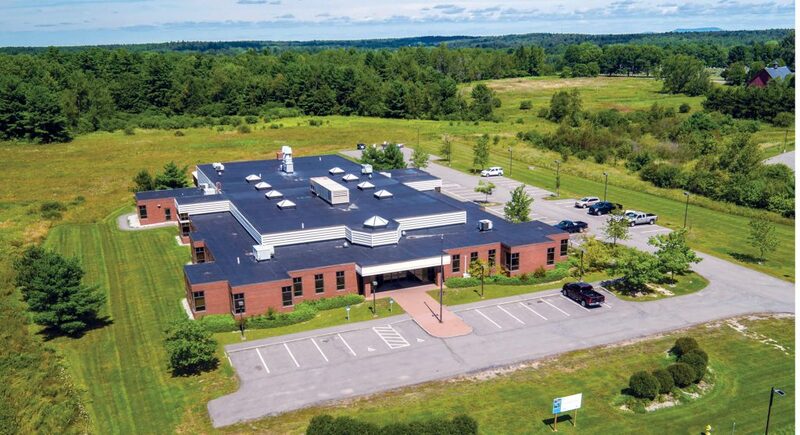 The new Diagnostic and Research Laboratory that opened in June 2018 has expanded UMAHL’s services, reach, and positive impact on Maine’s over 8,000 farms. Maine Food Corps Reducing Obesity and Medical Costs: In the last 30 years, the percentage of overweight or obese children in this country has tripled and 30 percent American children are on track to develop diabetes in their lifetime. According to a 2012 UMaine study, the medical costs of obesity associated with the cohort of Maine children and adolescents — both those who are obese and non-obese — will be an estimated $1.2 billion over the next 20 years. Extension has acted as the state partner for FoodCorps (FC) in Maine since its inaugural year in 2011. FoodCorps connects kids to healthy food in school, so they can lead healthier lives and reach their full potential. In the past 6 years, FC service members have served in 60 schools, teaching over 26,000 students about food and nutrition. They have built or revitalized over 30 school gardens, engaged with over 240 farmers, producers or distributors, and engaged over 750 volunteers who contributed over 9,000 hours of service. Due to changes at the national level, this is the last year that UMaine Extension will sponsor FoodCorps in Maine. So You Want to Farm in Maine: Since 2011, UMaine Extension has provided diverse educational outreach through its “So You Want to Farm in Maine” series to enhance the skills, business management knowledge, confidence of new and established farmers. Extension programs are live, live-streamed and archived, and have reached 754 participants from all Maine counties and out-of-state. Topics include agriculture enterprise selection, business planning, record keeping, market research, regulations, and resource identification. Farm Tractor Safety: We have presented effective Farm Tractor Safety courses for an average of 80 individuals per year for over 25 years. The courses includes classroom sessions, a shop session and tractor operation. In a recent survey over 33% became employed or maintained employment as a result of their participation. In 2017, 278 youth and farmers took part in Extension’s farm safety trainings. Of these, 172 were trained in tractor safety. Pesticide Education Credits: Extension faculty and staff provide a variety of education options that earn education credits towards certification for growers in Maine who annually sell more than $1,000 of plants or plant products intended for human consumption and who use commercial or general-use pesticides on property owned or leased by them. The Board of Pesticides Control estimates that this enables more than 2,000 growers to safely interact with the full spectrum of agricultural treatments. UMS Food Services Contract: Since 2015 the Executive Director of Extension has served as a resource to the UMS team that is addressing the five-year food services contract for six of the seven campuses. Extension provides significant support to the group in understanding Maine’s agricultural and food processing economy and the realities associated with achieving the BOT goal of 20% locally sourced food by 2020. Extension is on the governance committee that monitors the implementation of the contract and is working with the vendor (Sodexho) and UMaine Food Service on outreach effort to farmers and food processors on how to sell to the UMS. At this time over 23% of the food served is sourced locally which is exceeding the UMS-BOT goal. Maine Food and Agriculture Center: With $3.9 billion in overall economic impact, agriculture is one of Maine’s largest, fastest growing and most promising industries. The Maine Food and Agriculture Center is growing to encompass all sectors of the burgeoning food economy; establish first-contact access to the programs and expertise available at all seven of Maine’s public universities; and explore opportunities for cross-campus and cross-discipline coordination and program development based on emerging needs in Maine’s food economy. Food Studies Program at USM: As part of the Maine Food and Agriculture Center Initiative, Extension is collaborating with USM on aspects of their new food studies program based in Portland. One such aspect is a proposed faculty member having a joint-appointment in food security with an outreach component through Cooperative Extension starting in FY2019. The funding for this position was sought through a UMS Program Innovation proposal but was unsuccessful. 4-H STEM Ambassadors are students at one of the University of Maine System campuses who are trained in experiential learning, risk management, and science content, and are then paired with host sites to facilitate STEM activities with youth. 4-H youth development staff has been working with other campuses in the UMaine System to expand the STEM Ambassadors’ program throughout the state. Currently, six campuses are partnered to bring hands-on STEM education to young people in their community. In 2017, the program reached 1,026 youth at 63 community sites, including schools and afterschool partners. 105 college students trained in the development and delivery of informal STEM-based educational experiences, committed 2,100 hours of time to the program. “One University” Student Workers: We regularly reach out and hire undergraduate students from other UMaine campuses in support of our programs. This year, for example, Extension hired University of Southern Maine and UMaine Machias students to support 4-H Science initiatives and to support statewide nutrition and food safety programs. We have received positive comments from the students who appreciate the opportunity to actively participate in real life activities while building their portfolio of experience. Multi-campus Program Integration: Over the past year we have held 4-H programs at UMaine Machias and USM. These programs were integrated with local staff and students, giving youth realistic college campus experience. Programs included a Robotics Expo and Mini-Forum both of which were a success and will occur again in 2019. Also, during the past year the Maine Hunger Dialogue was held at UMPI; this event has also been held at UMA and UM in recent years. During FY18 we restructured a vacant position within our Finance/Operations office by replacing an hourly position with a salaried professional with a dedicated focus on organizational budget development and monitoring throughout the year. The new position will work carefully with statewide and campus faculty to create and implement informed financial management for projects within the umbrella of their work. Inherent in the operations of the new Diagnostic and Research Laboratories will be implementation of an updated business plan for generating appropriate revenue in exchange for services rendered. During FY19 we will begin seeking external funding opportunities from government, industry, and other entities by using the assets of the new Diagnostic and Research Laboratories to promote our capacities for success. All Cooperative Extension faculty participate in mentoring and diverse professional development, including the creation of a written professional development plan. In 2018, we created mentoring guides for professional and classified employees; all new employees are assigned a mentor. Anderson, G. Governor appointee to Maine Animal Welfare Advisory Council. Anderson, G. Maine Agriculture Marketing Loan Fund committee member. Anderson, G. Dairy Improvement Fund Eligibility Committee, Dept of Agriculture, Conservation and Forestry. Coffin, D. National Finalist — NACAA Communications Awards — Computer Generated Graphics Presentation with Script for “Using Pechakucha Format for County Executive Committee Presentation.” 2017. Jackson, T. Distinguished Service Award, National Association of Agricultural Agents. 2018. Kersbergen, R. Nominated by peers for the 2017-2018 Excellence in Faculty Mentoring Award by the Rising Tide Center. 2017. Kersbergen, K. Selected as Keynote Speaker for 2017 Vermont Organic Dairy Conference in March 2017, Randolph, Vt. 2017. Mallory, E. UMaine Today’s feature article and video for Fall/Winter 2017. “Field days — Maine’s successful grain movement is powered by farmers, products and research.” https://umainetoday.umaine.edu/stories/2017/field-days/ 2017. McConnon, J. Appointed to a three-year term on the Technical Advisory Committee for the Northeast Regional Center for Rural Development. Current Co-Chair of the Technical Advisory Committee. 2018. Peronto, M. Maine Writers and Publishers Alliance. Finalist, Excellence in Publishing Award, Maine Literary Awards 2017, The Life in Your Garden (Manley, R.M and M.L. Peronto. 2017. Tilbury House Press). 2017. Savoie, K. Faculty Program Leadership Award, Program Advisory Committee, Extension Leadership Team, UMaine Extension. 2018. Savoie, K., NIFA, USDA, Certificate of Appreciation for Exemplary Leadership, Master Family and Consumer Sciences Volunteer Program (2017). National Extension Association of Family and Consumer Sciences (NEAFCS), 1st Place National Winner, Master Family and Consumer Volunteer Award. 2017. Ouellette, K. Selected by National 4-H Headquarters USDA/NIFA to represent the Northeast region as a member of the chartered group – National 4-H Teaching Models Taskforce, 2017-18 co-Chair. Ouellette, K. Selected by National 4-H Headquarters USDA/NIFA to participate as a contributing author on cultural competency. National 4-H/NASA, Contributing Author Expeditionary Skills For Life Curriculum. Part of a national partnership between National 4-H Headquarters USDA/NIFA and NASA, 2017. Our 46 faculty are actively engaged in applied research and are prolific in scholarship. 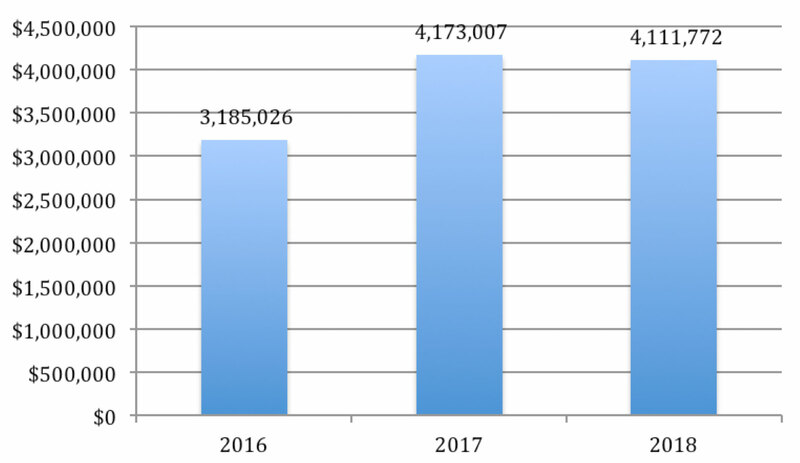 In 2017-2018 faculty were involved in applied research projects, and published over 80 peer-reviewed forms of scholarship including journal articles, abstracts, videos, fact sheets, and bulletins. Extension faculty were engaged as invited presenters at over 150 state, regional and national events, including conferences, trade organizations, academic institutions, and governmental entities. Extension faculty also collaborate actively with their international peers. A complete list of scholarly activities and accomplishments accompanies this report. Elderberry Variety Trials and Growers Support: An elderberry variety trial was installed at Highmoor Farm in July 2017. This grant-funded project compared 12 varieties for commercial production in Maine. Elderberry growers have recently formed the Maine Elderberry Growers’ Association (MEGA) with faculty advisors Tori Jackson, Marjorie Peronto and David Handley. An article on elderberries was published in the Portland Press Herald in early June and Maine Public featured MEGA on its daily radio show Maine Calling in August. Master Farmers and Dairy Grazing Apprentices: In 2016, supported by a grant from Stonyfield Yogurt, Wolfe’s Neck Farm (WNF) initiated the organic dairy training program to try to train a new generation of dairy farmers. WNF partnered with the Dairy Grazing Apprenticeship (DGA) to provide a 2-year training program with education coordination from Extension. U.S. & Canadian Organic Grain Network: NEEORGAIN = NorthEast US and Eastern Canada Organic Grains). A cross-border network for commercial organic grain farmers, businesses, and advisors in the Northeast, Atlantic Canada and Quebec. Network activities include cross-border farm tours, winter webinars, and a listserv with 72 members from six states and four provinces. UMaine Climate and Agriculture Network: Increased communication and coordination among those working on issues related to climate and agriculture. Initiated in 2015, the network to date has hosted guest speakers, organized researcher and graduate student mini-symposiums, developed a farmers fact sheet, and facilitated new collaborations on at least two grant proposals. Multi-campus Program Integration: Over the past year Extension has held 4-H programs at UMaine Machias and USM. These programs were integrated with local staff and students, giving youth realistic college campus experience. Programs included a Robotics Expo and Mini-Forum, which will both occur again next year. Foster Center for Student Innovations: Dr. Jason Bolton and 4-H Professional Laura Wilson participate in Foster Center programs for youth, small businesses, and food entrepreneurs. Dr. Beth Calder, Dr. Louis Bassano, and Dr. James McConnon have collaborated in offering our Recipe to Market course for aspiring food entrepreneurs. Dr. Bolton was the Innovation Engineering Academic Director for FY 2017 and continued in the role in 2018. National 4-H Health and Marine Science Curricula: Maine 4-H had three curricula pass a USDA National 4-H review in 2017. “Exploring Marine Science and Aquaculture”, and “The Science of Seaweed” were developed in partnership with EPSCoR, and “4th H for Health” with Tufts University. North Star: Leveraging the success of the Telstar Freshmen Academy, Extension staff were successful in receiving a multi-year $600,000 grant from the Lerner Foundation to create North Star, and expansion of TFA. North Star is an outdoor-based mentoring program that connects young people in the SAD#44 School District to caring adults through expeditionary learning, service learning and community service projects and adventure-based education. 4-H Tech Changemakers: With support from the National 4-H Council and Microsoft Philanthropies, the 4-H Tech Changemakers project in Washington County focuses on committed teens working to create positive change in their local communities. The project was launched in October 2017 and is part of a new national partnership that equips young people with the digital skills and resources they need to make a positive impact in their communities. Eight communities from six states were chosen to pilot this three-year project. 4-H Summer of Science: In an effort to increase science proficiencies in local communities and prevent summer learning loss, UMaine Extension created and delivered science curricula at community sites. In 2017 Maine 4-H Summer of Science was at 35 unique sites in 7 counties, including free-or-reduced lunch sites, libraries, summer school programs and summer camp sites. Community partners included Boys and Girls Clubs, YMCAs, schools, public housing authorities, and local recreation camps. Summer of Science activities were based on “Innovation Engineering”, and included animal adaptation, bioremediation, chromatography, and engineering design. Adult volunteers and 20 teens facilitated activities with over 2,000 youth. Pathways Early College: In 2018, the University of Maine System funded the Pathways Early College program at UMaine’s Bryant Pond 4-H Center. This is a new initiative that will provide dual enrollment opportunities for high school juniors and seniors in Oxford County, with recruitment targeting first generation college students. The program’s goal is to increase the number of students matriculating to UMS campuses, and to increase retention rates, especially among first generation college students. Funding for the second year is being provided by UMaine through the Executive Vice President for Academic Affairs and Provost. Cooperative Extension is primarily community based and our program clients primarily non-academic. Our client success is community centered. Here are some highlights for 2017-18. Recipe to Market: There has been a growing interest in value-added food production in Maine. From farmers looking to add value to their raw products to Maine families interested in turning their favorite recipes into viable food businesses. In response, UMaine Extension developed the Recipe to Market Program in 2007 and has been offering it to statewide audiences annually ever since. The program helps potential and existing food entrepreneurs acquire food science and business knowledge and skills to successfully bring a value-added food product to market. Since its inception, about 300 people have participated in Recipe to Market — over 40 in the last 18 months. Follow a Researcher™: UMaine Extension and UMaine collaborators created Follow a Researcher (FAR™) to increase youth understanding of research processes by engaging them directly with UMaine researchers in the field. Since 2015, FAR™ has engaged 4,200 youth and 120 educators from Maine and eight other states. Participating middle school teachers created curriculum related to the expedition, exposing youth to science in their classrooms in new and engaging ways. The program audience grows annually, and is attracting local and national media attention including being highlighted on the National Public Broadcasting radio show and podcast “Science Friday”. In development is the Follow a Researcher® network, which will enable us to manage expeditions from multiple sites from our new website (followaresearcher.org) and engage 4-H programs and researchers from other universities to share expeditions with youth and educators around the U.S. and beyond. Plant, Animal, & Insect Diagnostic Lab: Construction was completed in the winter of 2017-18, and the grand opening was held on June 21. The new facility is operational and occupied at a cost exceeding $10 million from two different public bonds. 4-H Camp and Learning Centers are engaged in active planning of several significant renovation projects of existing facilities that will be supported through private funding. Potato Industry: In 2014, a new plant disease was identified in Maine. Dickeya is a disease caused by a bacterium that destroys tubers and withers plants. The disease was a serious concern for the Mid-Atlantic States in 2015 with some growers losing entire fields. It appeared again in 2016 and 2017. The pathogen is transmitted on seed potatoes. Maine is a significant supplier of seed potatoes to over 20 states. Extension faculty have been working with colleagues from other states and growers from Maine and across the country to identify this disease and to develop management strategies that will prevent the spread of the pathogen and minimize losses. An international Dickeya summit coordinated by Extension was held in Maine in November 2017, and attracted worldwide attention within the potato industry and acclaim for the quality of the presentations and the expertise of the presenters. Some within the Maine potato industry have been highly critical of UMaine regarding the response to the threat posed by this disease. That criticism has stopped since this event was held. Climate Change: We are challenged with maintaining our expertise as the effects of climate change alter the metrics of nearly everything we do within the Maine food system. Delivering up-to-date research-based education in a time of rapid change will continue to challenge our capacity. Many sectors of the state’s agricultural economy continue to be challenged by drought. Pest species are thriving in Maine that have not survived here before. The most obvious example is ticks. Several species spread disease that can impact people and pets. Farm Profitability: The average farm in Maine is losing money. Extension faculty and staff work to help producers and processors reduce input costs, add efficiencies through technology, and stay competitive within commodity based agriculture. Extension also helps many small farmers who target local markets and those adding value with on farm processing – think cheese! 4-H Camp and Learning Centers: Our 4-H camps face both challenges and opportunities in terms of their financial vitality. Two of the three camp locations (Tanglewood and Blueberry Cove) have infrastructure needs that are essential and expensive. Expanding to a forth facility at Greenland Point in Washington County is being actively explored in partnership with the Maine 4-H Foundation. Farmers and Fishermen need help maintaining their ability to farm and fish while experiencing the physical limitations of aging. Many are facing succession issues that challenge their ability to pass on their operations to a future generation. Further, many under-capitalized young people are trying to break into these fields. AgrAbility is a USDA funded program conducted by Extension in partnership with others that addresses the needs of handicapped farmers. Age related disability is one of the situations this program is addressing. Extension conducts “So, You Want to Farm in Maine” to educate the next generation of farmers. Food Safety Modernization Act (FSMA) of 2011 is a result of a federal shift in priorities from responding to food safety issues to preventing them. The resulting rules are complex and overwhelming to both businesses and regulators. This is an important element of Extension’s Food System programming and our faculty are making every effort to interpret and disseminate accurate information. Extension will provide FSMA programming that covers two of the seven rules (Human Foods and Produce Safety). This work is done in partnership with the Maine State Department of Agriculture, Conservation and Forestry. New Dean of Extension: The transition of leadership within Extension is an opportunity for new energy to empower the organization forward and a challenge to let go of a familiar director. 4-H Camp and Learning Centers: To address critical infrastructure needs Tanglewood and Blueberry Cove 4-H Camps continue a fundraising “Campaign for Kids” focused on raising funds to support programs, scholarships and capital improvements. The fund raising goal is $1,200,000. Over $500,000 was raised before the July 2017 public launch. The Maine 4-H Foundation may purchase Greenland Point camp in 2018; it would become the fourth UMaine 4-H Camp and Learning Center. Pathways Early College: In 2018, the University of Maine System funded the Pathways Early College program at UMaine’s Bryant Pond 4-H Center. This is a new initiative that will provide dual enrollment opportunities for high school juniors and seniors in Oxford County, with recruitment targeting first generation college students. The program’s goal is to increase the number of students matriculating to UMS campuses, and to increase retention rates, especially among first generation college students. UMaine Extension is your doorway to University of Maine expertise. For more than 100 years, we’ve been putting university research to work in homes, businesses, farms, and communities — in every corner of Maine. Our educational efforts focus on the Maine Food System, Positive Youth Development, and Community and Economic Development.